These days, more and more people are seeking ways to manage stress and anxiety levels, hone focus and attention, and reduce negativity — and many are turning to meditation to do so. According to the Centers for Disease Control and Prevention (CDC), the number of people who reported meditating has more than tripled since 2012. And because phones are such a large part of 21st century life, attention has fallen naturally to the utility and effectiveness of meditation apps. We scoured the mobile meditation app market, then consulted five leading meditation experts, CDC, and countless studies on how meditation affects the brain and body. Whether you’re new to meditation or a seasoned pro, there are a few key takeaways to consider before opting into a mobile meditation program — they aren’t always the fast-track answer to a happier, stress-free life. Meditation is nuanced, and it isn’t easy. In fact, a self-guided meditation app might even cause more problems than it intends to solve. 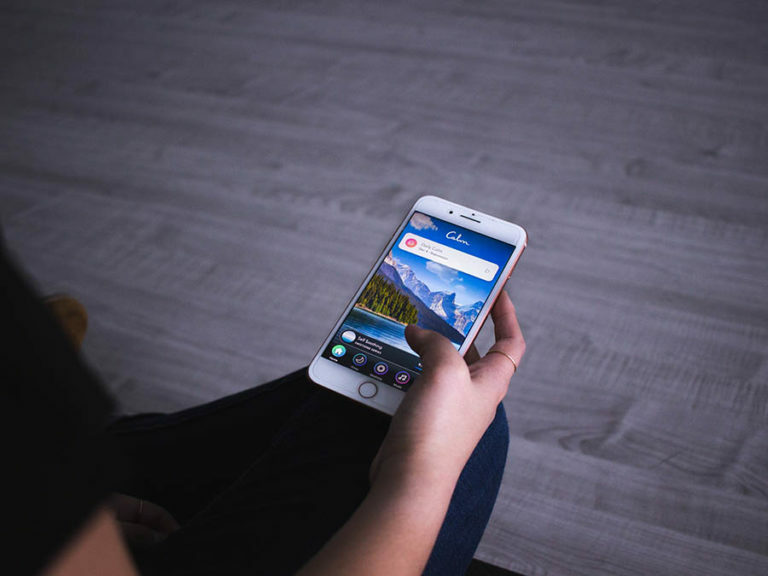 We’ve outlined the pros and cons of the most popular apps on the market below, but it’s best to think about your individual needs and goals before choosing an app if you want to reduce stress in the healthiest, most effective way possible. The brain: Mindfulness-Based Stress Reduction (MBSR), which takes a more intensive approach to meditation, has been shown to increase gray brain matter density and improve learning, memory, and the emotion-regulation process, among others. Stress reduction: Mindfulness-based meditation helps lower stress-related symptoms and hormones and may enhance coping mechanisms. Increased compassion: Compassion meditation has been linked to the stimulation of neural pathways that involve empathy and compassion. While science on digital meditation apps is limited, the field is budding amid growing popularity and a desire to use meditation as a form of complementary treatment. Dr. Judson Brewer, associate professor and director of research and innovation at the Mindfulness Center at Brown University, says it’s harder to understand the brain than it is to create an app. 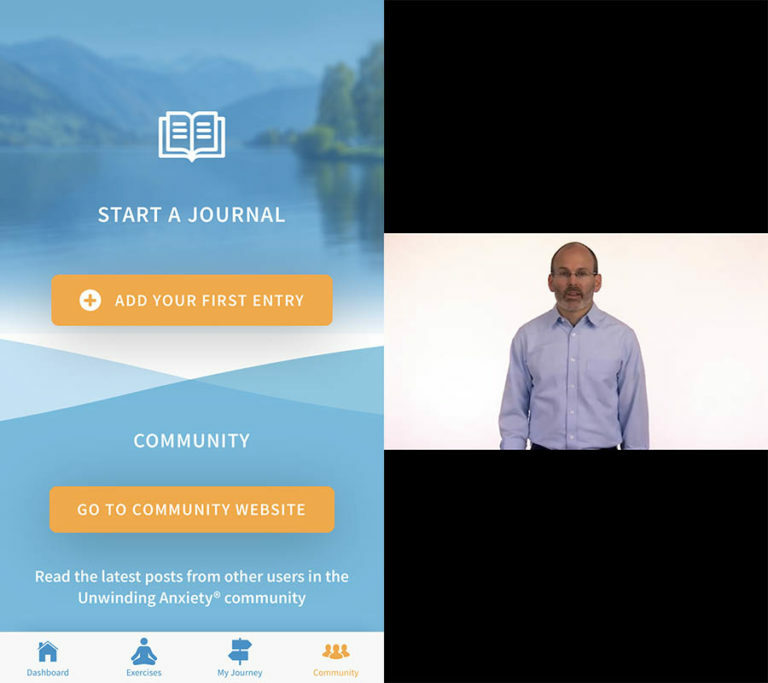 Unwinding Anxiety, the latest development in a trilogy of Brewer’s behavior-changing mobile apps, uses science as the basis for the entire program, and a pilot study showed that the app led to a 50% reduction in anxiety in physicians within the first month of use. The course leads you down a path of reshaping “habit loops” — “hacking” reward-based learning systems where unhealthy thinking patterns and coping mechanisms are perpetuated. The company behind the Headspace app is also making waves, having funded and been the focus of recent studies that substantiate its claims about reduced stress and irritability. 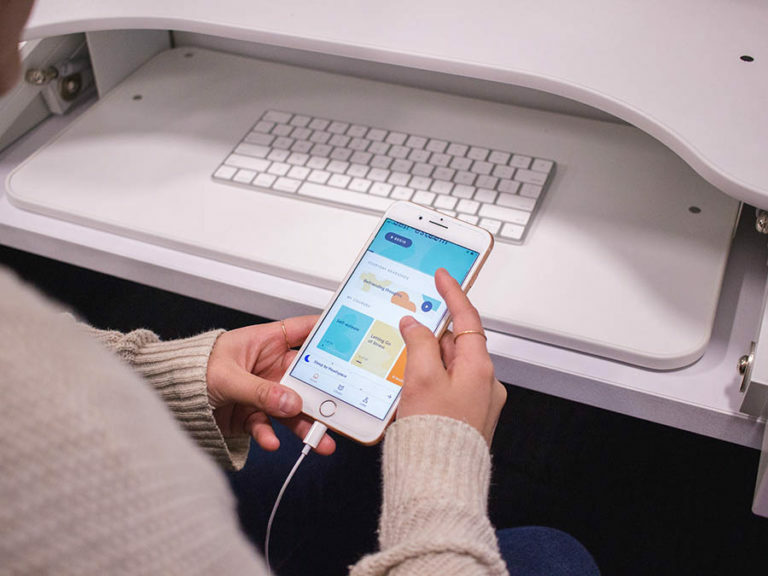 The company even looks to create a prescription meditation program with its app and redefine digital medication with its subsidiary, Headspace Health. This means that Headspace users could have access to a personalized, FDA-backed meditation program designed by health professionals by 2020. The National Center for Complementary and Integrative Health (NCCIH) states that meditation is typically safe for “most healthy people.” However, Bluth says that while meditation and mindfulness seem to be pretty straightforward, they’re actually more involved than they appear. Without the help of an instructor, experiencing difficulties — and not having any questions answered — could cause an aversion to meditation or even spark other complications, including those associated with asthma or breathing-related trauma. “Sometimes [students] start controlling their breath in some type of way — the actual breathing becomes an issue, and it starts raising anxiety levels,” Bluth said. The bottom line? While meditation is generally safe, most meditation apps lack the support network that makes it so. 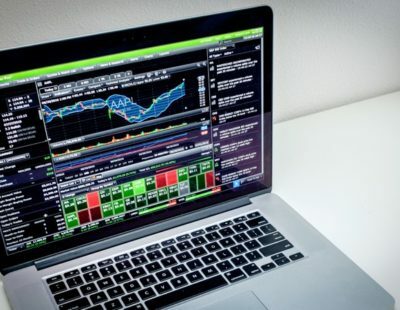 As such, apps may carry higher levels of risk for some people than a guided program, and finding an app with expert resources is critical if you're just starting out. To truly reap the benefits, it's best to choose an app that aligns with your level of experience. Even though there’s no hard-and-fast answer to what makes a good meditation app, there are a few baseline standards to take into account. Out of the thousands available, we took a look at 22 of the most popular meditation apps on the market based on ratings and consumer reviews and evaluated them on a few key criteria. Prior to digging into the content of a certain app, we checked to see whether it provided a free trial period or sample content to test. This step is critical, as you might find that you’re less inclined to engage with the app if it’s confusing or fails to give you a glimpse into what’s behind the paywall. We looked for meditation apps that were widely available — if one wasn’t offered to both iOS and Android users, we nixed it. If we noticed any price disparities, like an app that was free in the Apple Store but cost a few dollars to download from Google Play or vice versa, we tossed it. We ensured that the apps offered similar, if not identical, services to both iOS and Android users. Of course, an app that claims to benefit your life in any way should be intuitive and easy to learn. 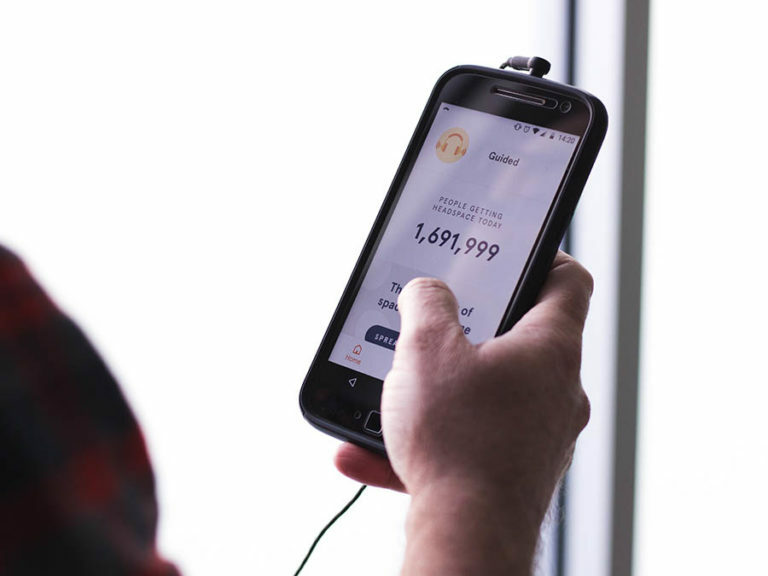 To test user-friendliness, we downloaded each app and gauged how well they tracked progress, whether they allowed you to set helpful reminders or easily revisit sessions you hadn’t quite finished, and if they provided a way to listen to meditations without Wi-Fi. Everyone needs something a little different out of a meditation app. The ability to search for meditations by time, teacher, goal, and other topics is helpful for people who are more experienced with meditation. For others, that freedom may be overwhelming; more structured courses with clearer guideposts could be more manageable. We kept this in mind as we searched, ensuring that our top picks included options for many learning styles. As our experts outlined, meditation carries its own unique set of risks. One key, albeit overlooked, aspect of digital meditation is an outlet for questions or help when encountering confusion or difficulty. This is something that many of the most popular meditation apps today fail to provide. While we didn’t eliminate any apps based on this lack of resources, we took special note of the ones that are setting the trend for healthier app-based meditation, including those with some level of scientific backing. Headspace offers a little something for everyone — beginners and experts alike. Before each meditation, you’re given a brief animation explaining how to perform the following session, which makes the app digestible for those starting their meditation journey or comfortable with having a plan laid out before them. The app also offers a good deal of customization, meaning you can choose where you want to start and what to focus on, while also providing structure and simplicity. The only significant exclusion we noticed was the lack of a timer-only option. Andy Puddicombe, the voice of Headspace, its co-founder, and a former Tibetan monk, has a soothing voice and even pace. That said, Headspace offers only that one voice and perspective throughout your journey. 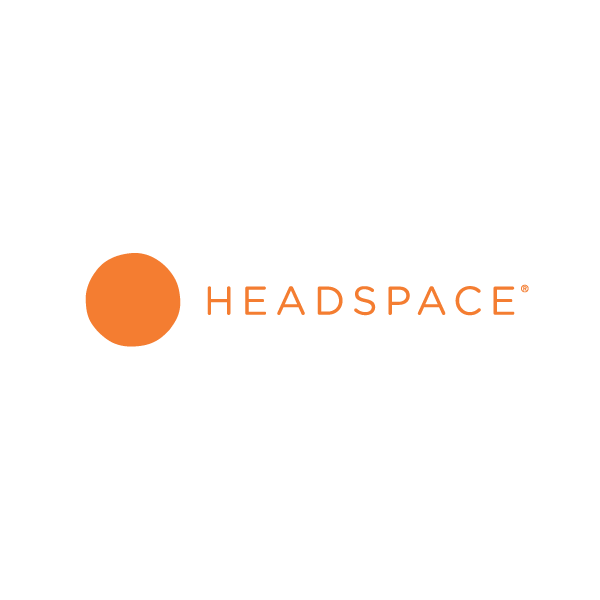 And if you find yourself confused or frustrated, Headspace does not offer an outlet to contact instructors, experts, or even community members. 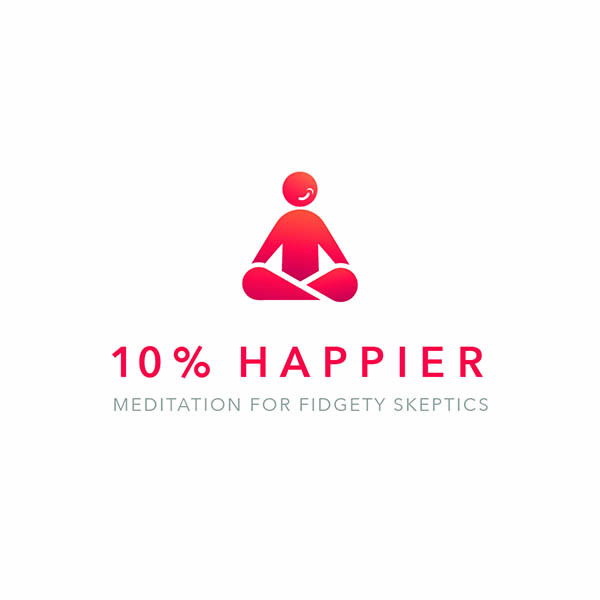 10% Happier, founded by Dan Harris, author of "Meditation For Fidgety Skeptics," provides meditation exercises from 16 experts and teachers, including Salzberg and Brewer, along with a “meditation coach” chat feature that lets you ask questions regarding your experience. When we tested this, we received a pretty detailed response in a little over four hours on a normal business day. This isn’t the same as reaching out to an instructor in real time, but it’s still helpful — especially considering that most apps neglect to include any sort of expert guidance. 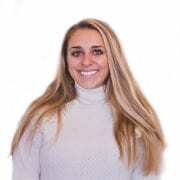 This app also offers a good deal of customization in allowing you to choose where you want to start based on your own interests and curiosity. You can opt to meditate with a full-on guided course or look for one-off meditations, or “singles,” depending on how long you want to meditate. If you’re looking for other content, the app offers “talks,” which serve as mini pep-talks or quick lessons on mindfulness implementation in daily life. 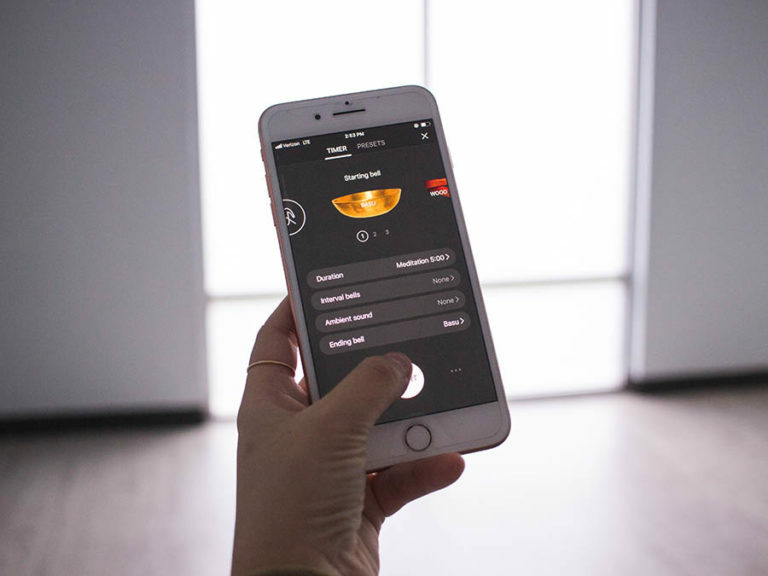 The app features 25 courses, each with around 12 to 15 lessons. While this might mean 10% Happier doesn’t offer the same course volume as others, including Insight Timer, its library for one-off meditations is pretty robust. Additionally, you won't find a timer-only, unguided meditation session. If you're a beginner or intermediate meditator, 10% Happier’s expert help and library of content make it a great resource. The five-week program doesn’t allow you to jump around or let your curiosity lead you when using this app — instead, you have to go through each lesson before unlocking subsequent lessons and features. These unlockable features include bonus modules, meditation exercises, and other courses designed to tap into or reshape certain behaviors or thinking patterns. While the structure may be too limiting for self-directed meditators, it’s perfect for those who may find themselves otherwise overwhelmed by options, as the five weeks of introductory and teaching modules lay a solid groundwork for future mindfulness practice. Insight Timer is partly known for its customizable timer-only option that allows you to choose different bell sounds, durations, and presets. 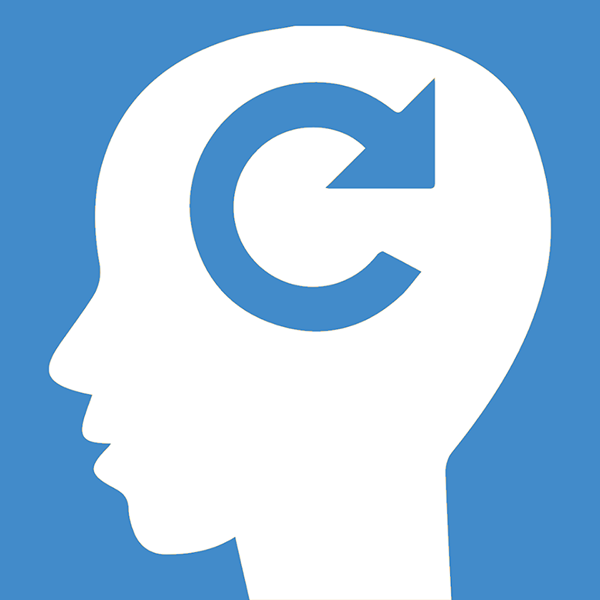 In addition, Insight Timer sources over 2,800 meditation teachers for different courses (including Bluth, Brewer, and Salzberg) and provides full biographies for each one — the caveat is that, while the app is free, most of these in-app courses will cost you $5. The variety of courses can be a tad overwhelming when trying to decide where to start, especially if you’re new to practicing; that, coupled with the timer-only option that makes the app famous, makes Insight Timer more suited for experienced meditators. Partaking in a paid course also gets you access to a community of students taking the same course and a direct line of communication to the creator for any specific questions you have. 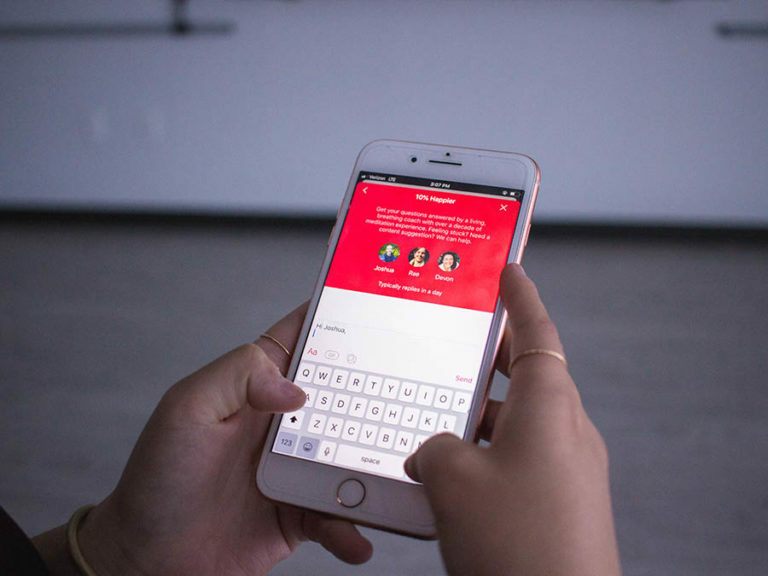 Aside from communication with your instructor, you can also contact any people you have met or previously connected with in the messenger section in your profile. 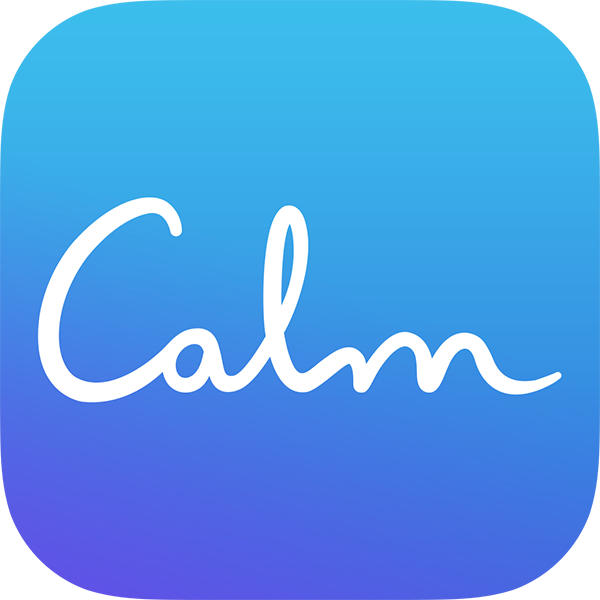 Calm’s interface is friendly: calming, in fact, and it’s relatively easy to source the meditation you believe will be best fit for you. The app offers additional features, like music and meditations designed specifically for sleep, but it can be a tad difficult to personalize. For example, if you don’t “favorite” a certain session or course, you might have to do some digging to find it again — these aren’t automatically queued in your home screen. Calm does offer a free seven-day course on managing anxiety, but after that, you’re led by your curiosity alone when it comes to deciding how to continue. For some people, the freedom might not be an issue. For others, it could be intimidating or off-putting, especially without a way to speak to an expert or others who have participated in the course. 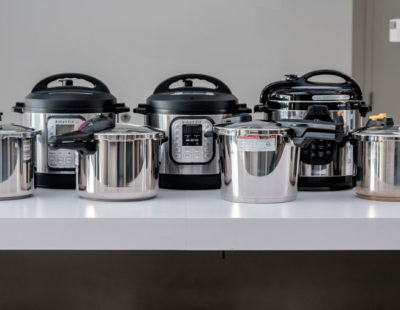 One of the first things we noticed when testing these products was how heavily the pacing and voice of the instructor influenced our desire to pay attention. This is, of course, driven by subjective preferences; our experience meditating won’t look anything like yours. Although it seems trivial, whether you actually find the program and message pleasing influences how often you’re likely to practice. Take advantage of products’ free trials to determine which style, voice, or pacing most appeals to you. Almost all of the experts we consulted touched on the fact that there’s no tried-and-true method to meditating, and you certainly shouldn’t feel stuck doing something you don’t enjoy or find uncomfortable. In fact, traditional meditation might not even be the right outlet for you. There are meditations designed for those who prefer being more active or who don’t want to focus solely on breath. If sitting for 30 to 60 minutes doesn’t appeal to you, some apps like 10% Happier, Insight Timer, and Headspace let you filter by time and offer some meditations that take less than three minutes. When we reached out to 10% Happier to ask about alternatives, the expert directed us to a few sessions that even involved “walking” meditations. Calm, Insight Timer, Headspace, and Unwinding Anxiety either offer different forms of meditation or resources to help better customize your experience. “One of the things that’s really important to note is that there’s zero quality control out there on who’s a qualified [mindfulness] teacher for recorded meditation,” says Diana Winston, director of mindfulness education at UCLA’s Mindfulness Awareness Research Center. This means it’s worth doing a little research or background-checking on your app’s meditation teacher(s) before engaging. A more qualified teacher — or someone with several years of experience or research under their belt — might be more equipped to answer any questions you may have about their work or meditation in general. Some apps that feature many teachers, like Insight Timer and 10% Happier, either provide bios or full rundowns of names and descriptions for the person delivering the message. Others, like Stop, Breathe & Think, only list the first name of the instructor, making it more difficult to see who actually designed the lesson and what kind of training they have. There is no definitive answer as to how often and for how long we should meditate. However, consistency seems to be the key. Salzberg recommends setting aside 20 minutes every day, but five at the very least: “It’s the everydayness of it that seems to be the most important factor.” With most of the apps we picked, you can select the amount of time you want to meditate for a certain course or session. It’s also important to think about mindfulness meditation as an intricate practice, beyond the casual connotations and trendiness that surround it today. “There’s a lot of hype around meditation, particularly mindfulness right now — that it’s going to solve all our problems, it’s going to transform our education system, make workers more productive, but in order for it to have an effect, you have to do it,” says Winston. With constant practice, we can eventually use mindfulness to enhance quality of life through even the most mundane activities. Mindfulness-Based Stress Reduction — a course recommended by Bluth before engaging in an app — is geared toward those dealing with chronic pain and other medical conditions and aims to help people manage and respond to stress. Mindfulness-Based Cognitive Therapy is an eight-week group intervention for those who experience recurrent depression. 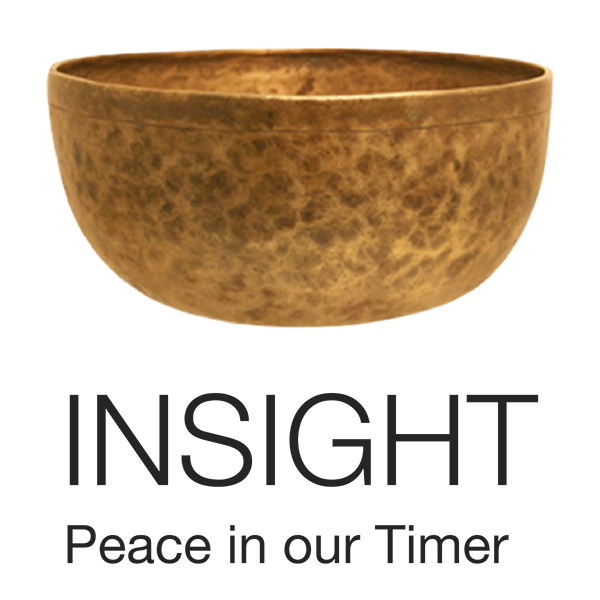 The program combines meditation practice with cognitive therapy components to help people identify conditioned patterns in their mind and mood that may perpetuate depression or incite relapse. “By cultivating increased awareness, people are in a better position to skillfully respond to the warning signs of depressive relapse before the symptoms become severe,” Ruth Whitall, LICSW, an adjunct faculty member and a certified MBCT instructor at the University of Massachusetts Center of Mindfulness, says. “By the end of the [MBCT] course, people often report feeling more empowered by what they have experientially learned from themselves and from others in the class." Read how the University of Massachusetts Center for Mindfulness compares the two. Mobile meditation apps seem to have nailed the intentions behind easing stress and anxiety and heightening focus and attention — it’s the science that hasn’t had time to keep pace with the market. And if you’re a beginner and serious about meditation as a complementary treatment, it’s best to seek counsel from professionals and research (mindfulness) meditation courses in your area. That said, if you’ve taken a course or are familiar with meditation, mobile apps could be a helpful tool to facilitate continued practice — and consistent practice will help yield results. Though the best meditation app for you ultimately comes down to personal preference, our favorites cater to a variety of learning styles. Unwinding Anxiety boasts robust online support and a structured, clinically supported course. 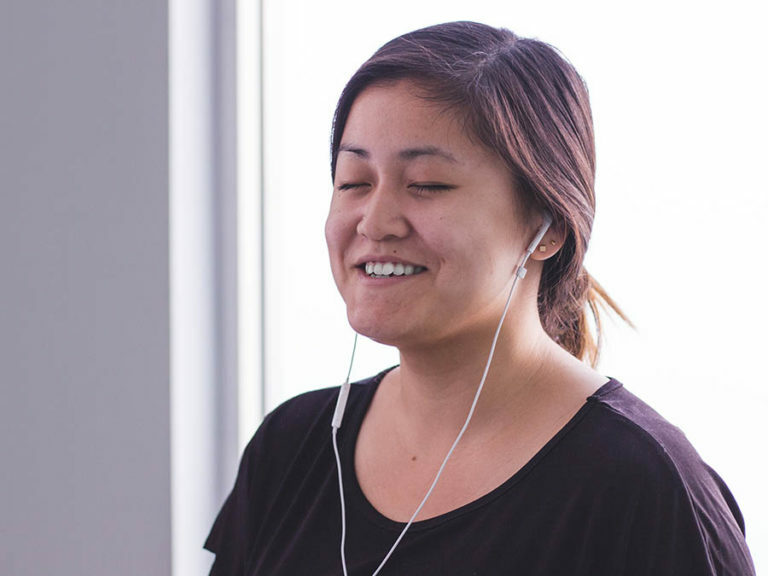 Headspace caters to both beginners and experts, with courses designed for each. Calm, 10% Happier, and Insight Timer offer a plethora of options for those with more experience or less time. Whatever your needs, we recommend taking advantage of free trials to see which app best suits your experience level and needs. Note: These are just suggestions based on our research and feedback from the experts we consulted. They are not intended to replace those of a trained professional or physician. If you believe that you’re dealing with anxiety and/or depression, first seek professional counsel. Looking for more ways to improve your physical and mental health? 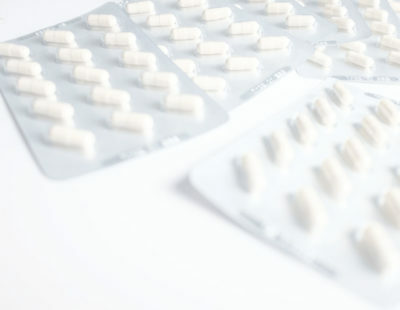 Check out our Health Guide for tips and recommendations.